Our Safari Guides know Photography. 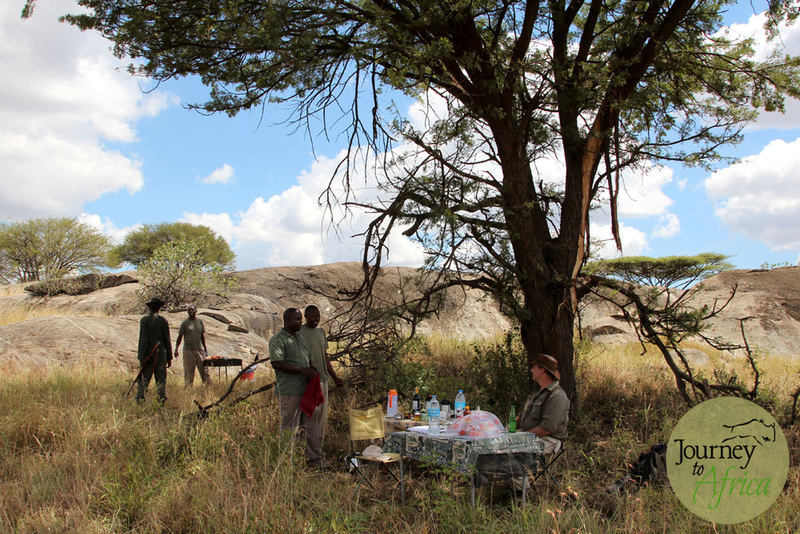 Our guides have credentials from wildlife colleges but every season, they go through intensive training about everything from psychology to how to make you feel comfortable when on Safari and so much more. Another thing they learn – Photography. Photography on Safari is vital for our guides to know. We have a range of clients from hobbyists, amateur photographers to professional photographers whose work is well-recognized world-wide. My Safari guide Reuben with my camera clicking the Wildebeest arriving into Northern Serengeti. Twende Safari – let’s go Safari. We can help you Safari Plan. One of my many favorite experiences on Safari is an early morning game drive. Your guide will usually ask you if you are up for a 6:00 - 6:30 am start. Say yes most of the time! That means, early morning wake-up call. The time your lodge staff cheerfully wakes you up with a 'habari za asubuhi - good morning' but they also bring you coffee/tea and cookies. Ah, the little things in life. These are the moments that will become your memory makers. The luxury of experience. And it's just the beginning of your day. You must stop and enjoy more coffee/tea with breakfast in silence and in awe. You are on Safari!